I need to lose weight. I want to lose weight. I need to change my lifestyle! Have you ever said these words and not followed through? This week’s Health Hero knows the battle and he has taken the steps to not only better his life but has made it a mission to helps others as well. We would like to introduce you to Michael Tamez. Michael is a lifestyle author, writer and blogger. Michael at one time weighed 250 pounds and was not happy with his body. He was battling his weight, sleep apnea, high blood pressure and more. 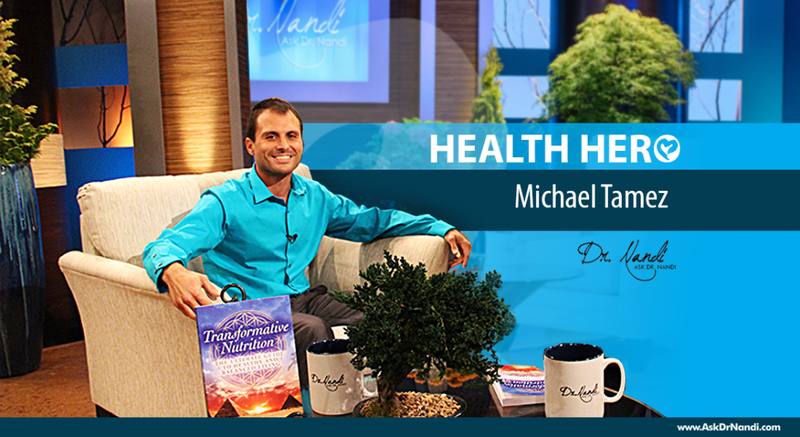 Through determination and a lot of hard work, Michael was able to transform himself and reverse all of those conditions. He approaches his health with holistic view, green living and metaphysical spirituality. His books are inspiring and filled with incredible life lessons that we can all understand and use to better ourselves. Michael began to write his books after losing five close people in just a year and a half. He was inspired to write a transformative book about life. Michael believes his mission is to follow his passion of healthy living and help as many people as he can who are struggling with healthy conditions and obesity related issues. Because of his incredible passion and determination, Michael Tamez is the week’s Dr. Nandi Health Hero. Watch his personal video below as he shares his story.